Longines is an unsung powerhouse of the watch industry, producing some 1.4m watches a year – with the majority being mechanical – for a turnover of over SFr1.5 billion. Only six other Swiss watch brands – Rolex, Omega, Cartier, Patek Philippe, Tissot and Audemars Piguet – can claim over SFr1 billion in annual watch sales. And the company is also led by an unsung powerhouse of the watch industry, Walter von Kanel, a 78-year old who joined Longines 50 years ago. So it is perhaps not a surprise that the 50 millionth watch rolled off Longines’ production line some time in late 2018. 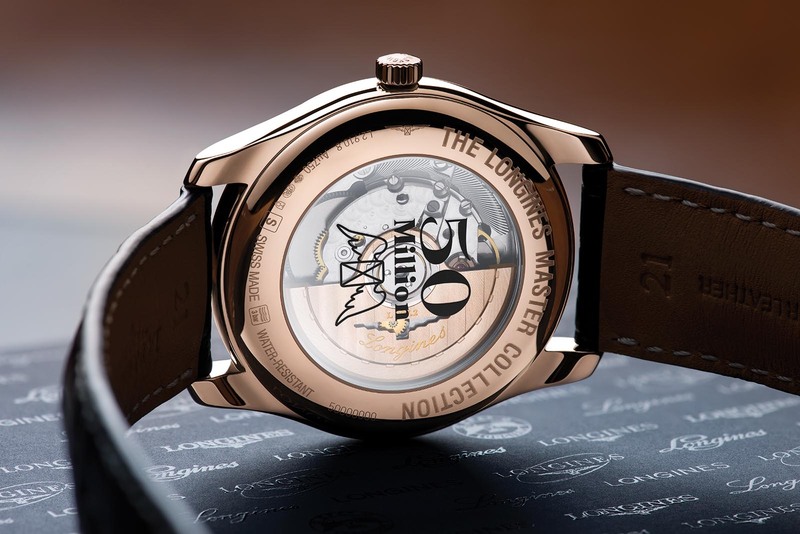 The milestone watch is a Master Collection Annual Calendar in 18k rose gold, with the case numbered “50000000” and a commemorative emblem on the sapphire case back. That important case serial number now joins Longines’ unrivalled database of watches produced. More so than most other watchmakers, Longines has detailed records on every watch it has ever made since it was founded in 1832. 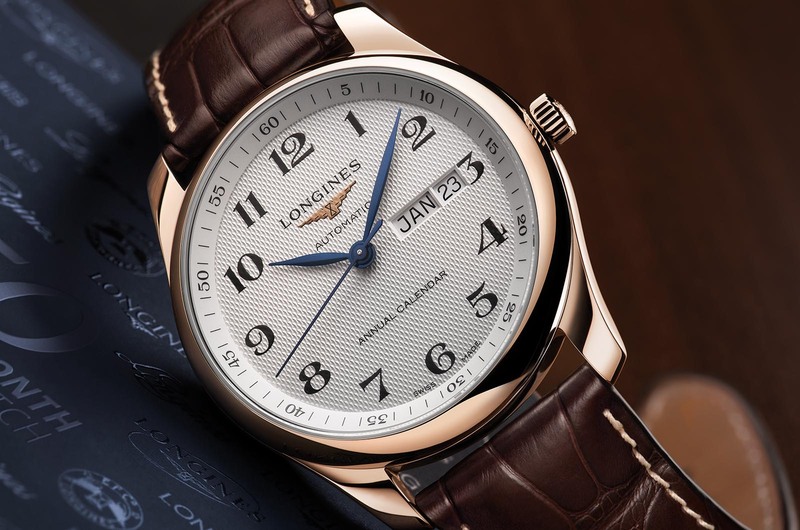 Every watch that has emerged from Longines since has been numbered and then recorded – a remarkable system that has remained uninterrupted since the beginning. The feat is evidenced by the ease of obtaining an archive extract from the company. More impressively, Longines’ records have since been digitised, and the Longines Electronic Archives (LEA) is a digital database that is likely the most extensive in the business. 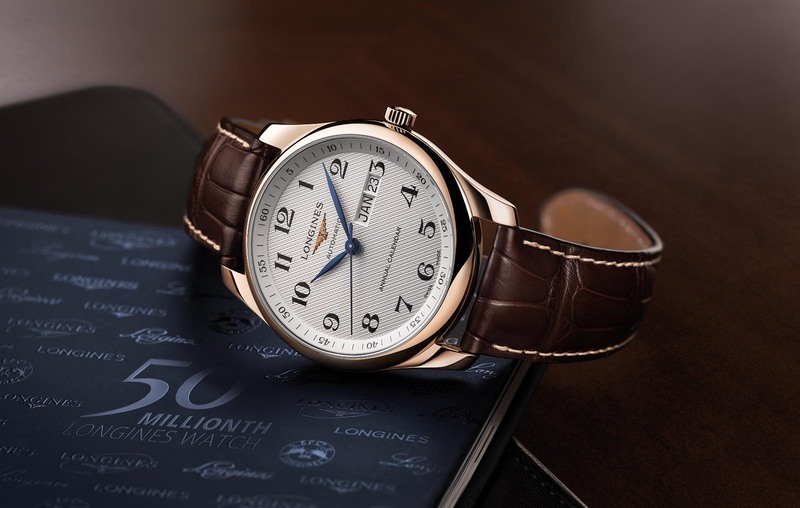 When Longines first announced the LEA two years ago, it already contained over 45m entries, and now includes watch number 50,000,000. The commemorative watch is based on the Master Collection Annual Calendar, launched just last year and the most affordable mechanical annual calendar on the market by a large margin. Like all other Longines watches the L897 movement inside is produced by ETA exclusively for Longines, which only assembles watches in its Saint-Imier factory. It is based on the ETA A31.L81, which is an upgraded ETA 2892 fitted with an annual calendar module on top. Notably, it has the same, unusual 3.5Hz frequency as Omega’s Co-Axial movements. The 50 millionth watch now sits in the Longines Museum, alongside extensive exhibits detailing the rest of the company’s history across its 50 million watch production.